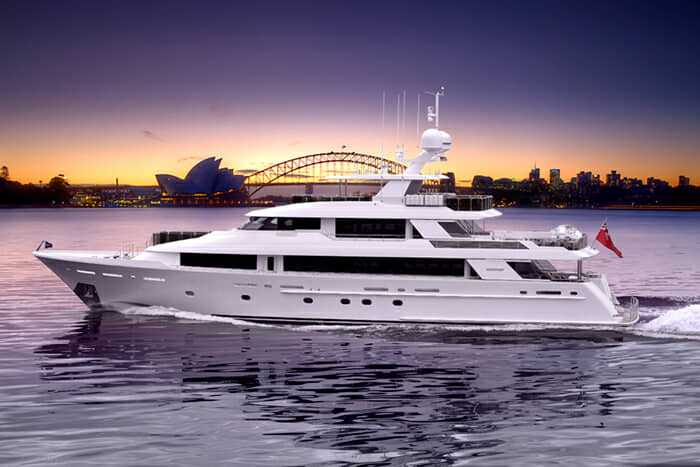 PIPE DREAM is an eye-catching, practically brand new (built in 2014) Westport 130 – known as one of the world’s great charter yacht models. 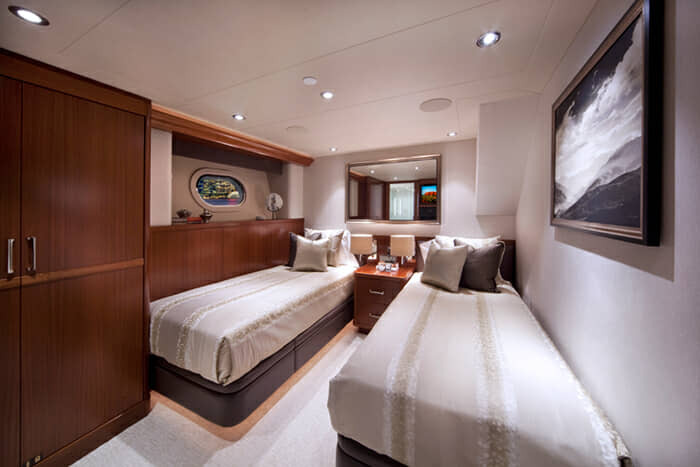 She features extraordinary interior & exterior spaces, and one will never be wanting for activities to keep busy during your charter – after all, she boasts an inordinate number of areas for socializing, and her toys garage is nearly filled to the brim with an array of toys. 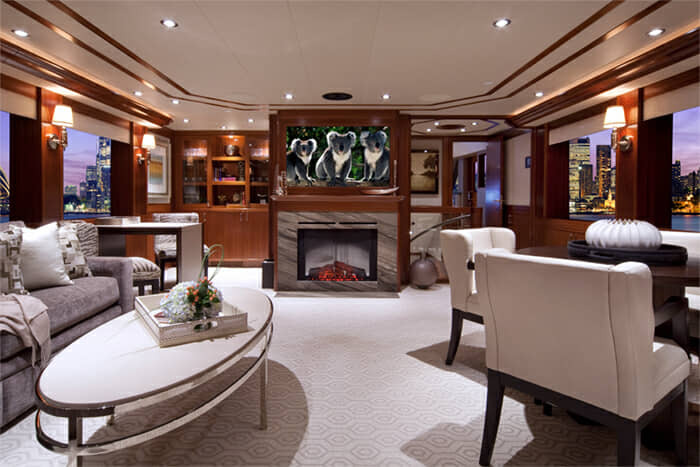 And did we mention her state-of-the-art entertainment systems – they’re there too. 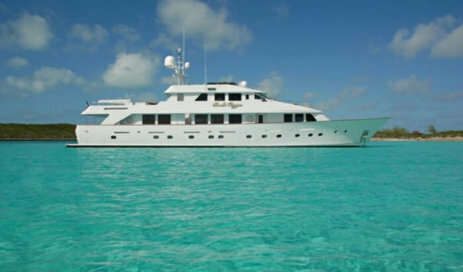 These are just some of the reasons this 130′ Westport has been such a popular yacht for charter. 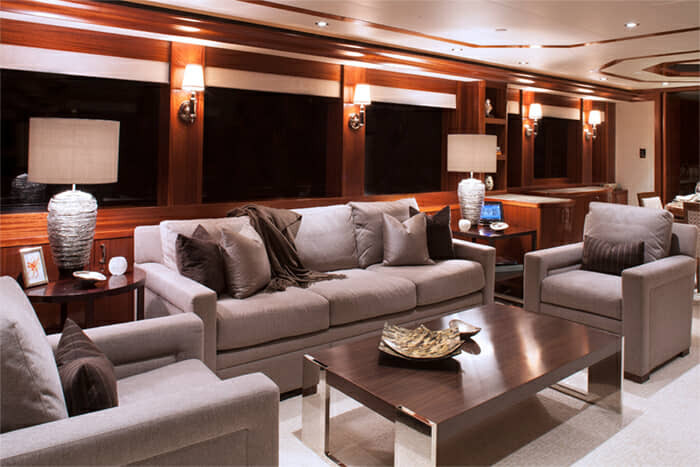 The yacht’s interior decor is notable for its earthy, though thoroughly modern tones. 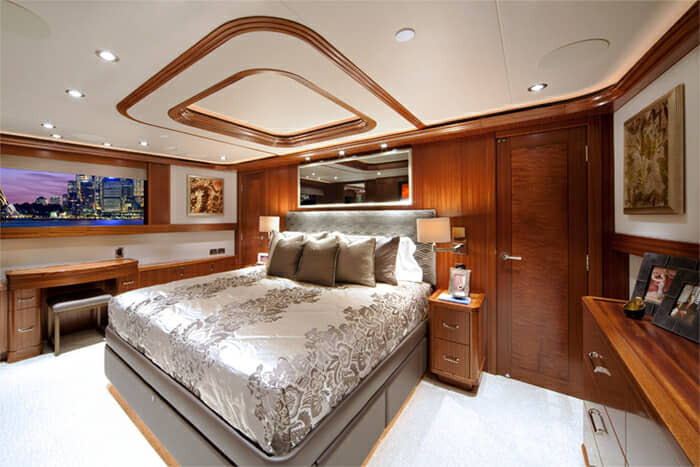 Soft leather furnishings, world-class fabrics, gorgeous mahogany wood joinery, and high-end art are found throughout. 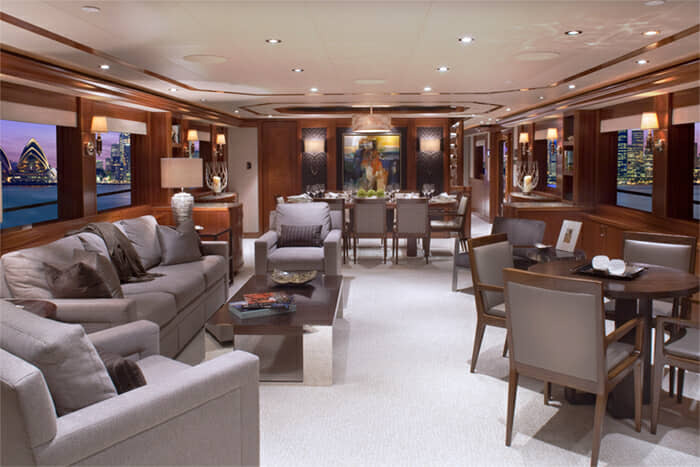 The salon, found on the main deck, includes an open plan lounge and formal dining area, which is marked by oversized windows that suffuse the interior with an abundance of natural light. 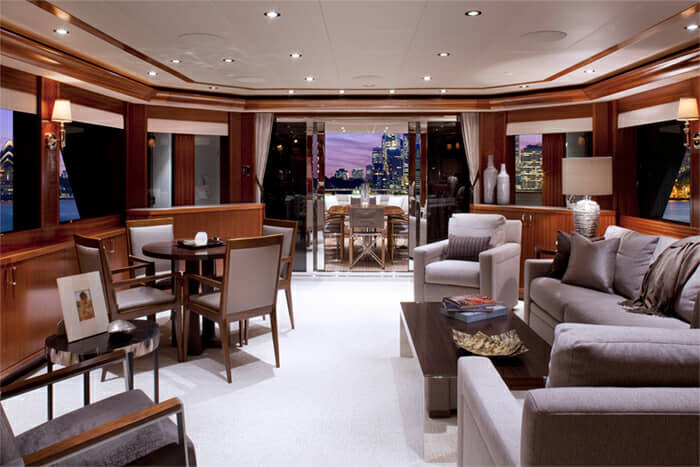 Another terrific area for socializing is located in the skylounge on the upper deck. 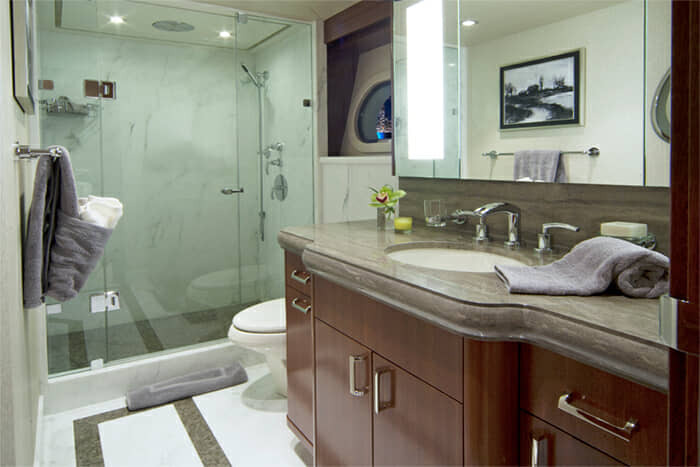 It has something for everyone – including two games tables, a wet bar, entertainment systems, a super-cozy fireplace, and, conveniently, a day head. 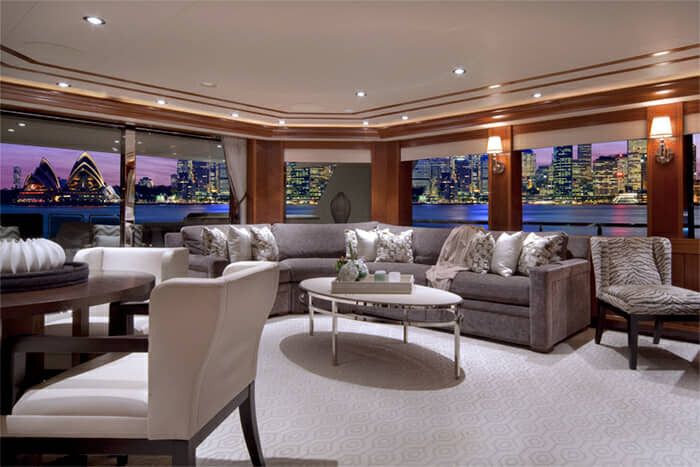 PIPE DREAM boasts three exterior deck areas for relaxation or entertainment, or practically anything in between. 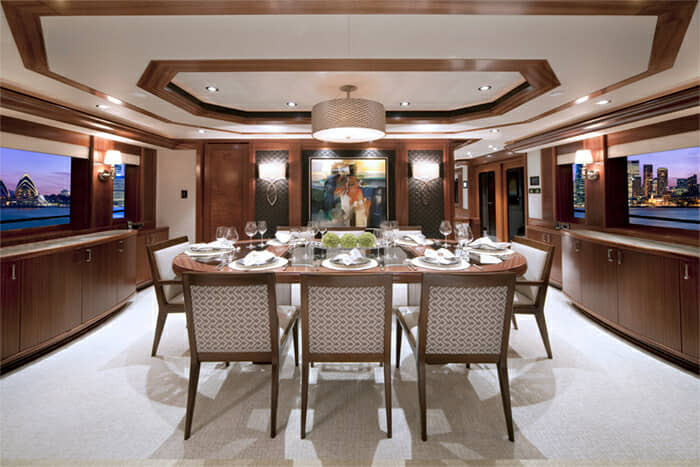 The main aft deck, just off the salon, is shaded, making it the perfect spot for al fresco dining. Or just drinking for that matter (it’s your vacation after all!) 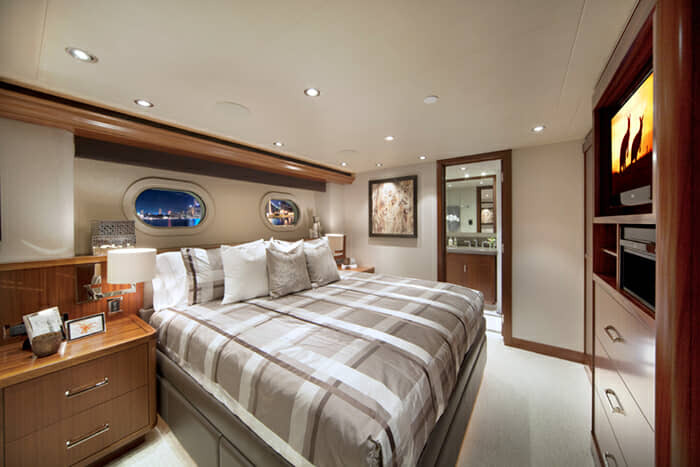 – the aft decks features a wet bar, and high-performance audio & visual entertainment. 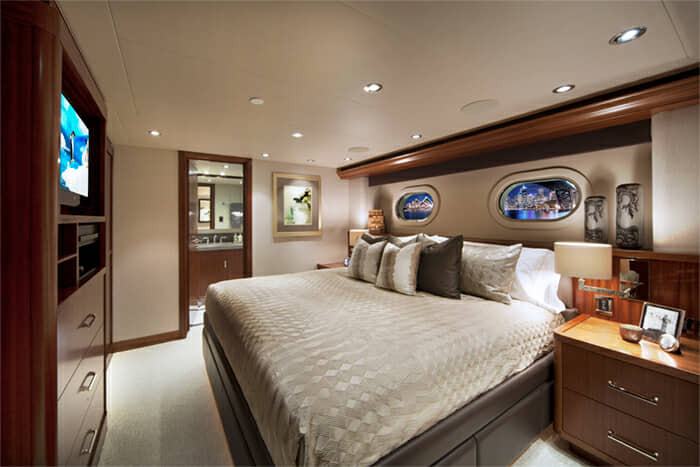 Yet the main aft deck has some steep competition for best exterior space – after all, PIPE DREAM also has a large foredeck and raised sundeck, with two chaise lounges, an al fresco dining table for 10 guests, marble wet bar, partial shade, and an indulgent jacuzzi – with surrounding sundpads. 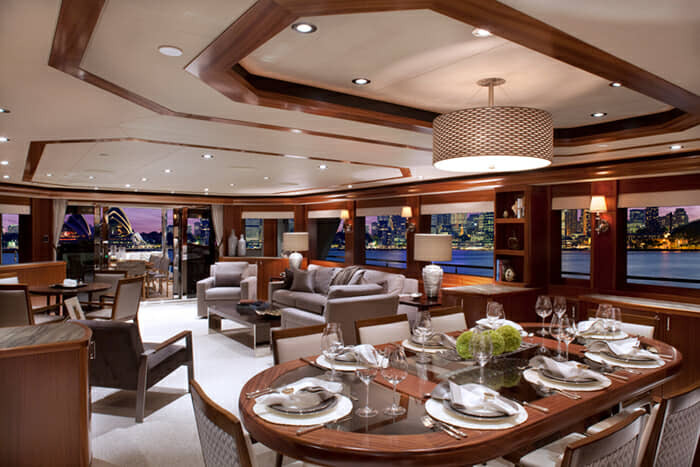 Adjacent to the yacht’s skylounge is the upper bridge deck – and what’s up there, you ask? 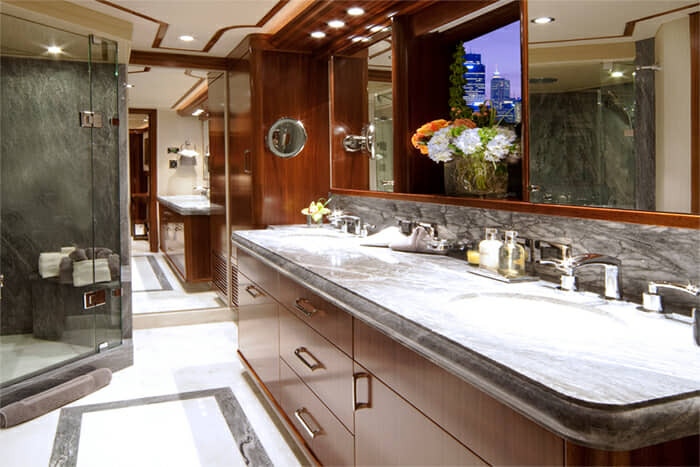 Oh just another exterior lounge, tons of shade and a BBQ service station to boot. 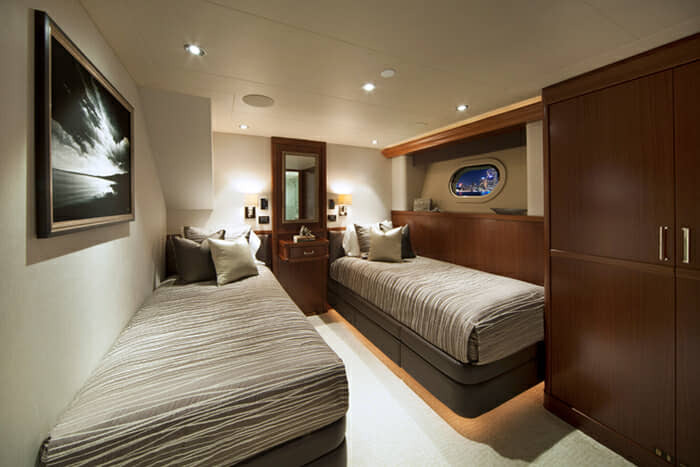 As we promised, there are more than enough exterior spaces on this yacht – enough, in fact, for far larger groups than could possible sleep on this yacht to enjoy themselves comfortably. 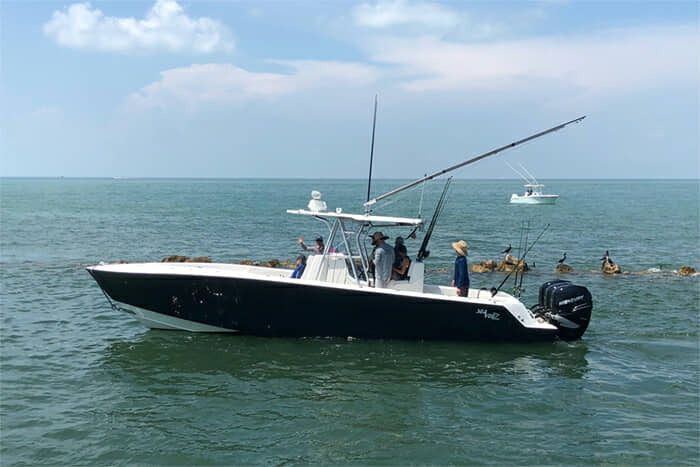 That’s the beauty of a late-model Westport 130!